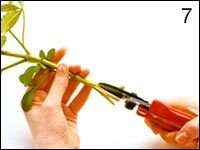 Many people are very concerned about how to care for fresh cut flowers. Whether you purchase fresh cut flowers at a florist or a grocery store or if you receive them as a gift, some simple flower care tips will help your flowers stay fresh for an extended period of time. Simple neglect can ruin your flowers faster than you would think possible. If for example, you were to leave your flowers in your car during the summer without any air conditioning your flowers could be ruined in a matter of minutes. Below you will find many great flower care tips to keep your fresh cut flowers looking healthy and fresh for as long as possible. Keep your flowers in a cool spot (65 to 72 degrees Fahrenheit), away from direct sunlight, heating or cooling vents, direct drafts from ceiling fans, and the tops of televisions or radiators. Appliances such as televisions give off heat, causing flowers to dehydrate. If the water in your vase becomes cloudy, replace it entirely. 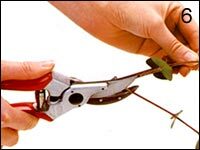 If possible, re-cut the stems by removing one to two inches with a sharp knife. Remove leaves that are below the waterline. 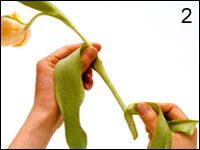 Leaves in water will promote bacterial growth that can harm the flowers. What is the Flower Food and Why Use It ? Select a clean vase or container to display the flowers. Locate the packet of floral preservative, or flower food, and carefully follow the instructions listed on the back. 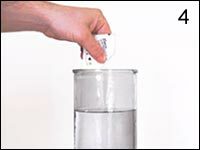 Use warm water (110F or bath water temperature) to dissolve the preservative (stir the solution to dissolve more quickly). Remove all packaging materials from the flowers. 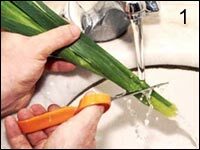 Remove all foliage that would be below the water line (leaves and foliage in the water create bacteria). 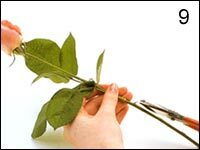 Handle the flowers with great care to avoid bruising and also avoid splashing water on the blooms or buds (water droplets on the blossoms may cause spots to appear). Use a sharp knife or scissors to cut the stems. 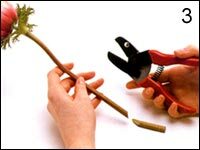 Flower stems should be cut under water (this may be done in a sink or large bowl- Cutting the stems under water allows the flowers to draw in water rather than air). Cut on an angle 1-2 inches from the bottom of the stem. Promptly place the flowers into the vase or container with the preservative solution and arrange as desired. Do not place the vase in direct sunlight, near sources of heat or cold, or in a drafty area (these conditions can dramatically reduce the life of the bouquet). Check the floral arrangement daily. 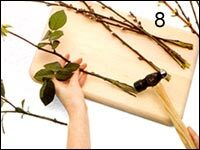 Remove wilted blooms and foliage from the arrangement (this will improve the appearance of the arrangement as well as increase the life of the bouquet). Be sure to check the water level and add warm preservative solution to the arrangement daily.